August 27, 2018 October 28, 2018 Categories Restaurant reviewacropolis mall, blogger, Bloggers Meet, desi food, kolkata blogger, kolkata restaurant review, kolkata street food, soul food, spicery, spicery kolkata, spicery rating, spicery review, street foodLeave a Comment on Spicery – the den of modern Indian soul food is here! Frankly speaking, it is a trending concept these days to punch desi elements in an urbane and chic theme and produce a totally new product which anyway uplifts the essence of those desi values. This is necessary specially to cater to our new generation and to make them more acquainted with elements which are closer to their roots! When it comes to music, we find old superhit songs are being re-made, re-arranged and re-mastered (no, I am not talking about those poor remixes here) that helps us again re-establish that lost connection with the golden era, with our roots! Similarly for food, these days things are getting re-arranged and rebuild with that modern twist and methodologies so that more and more people can come closer to the simplest and most basic food items which they generally avoid these days, maybe because of hygiene or just maybe because it’s not that cool or trending anymore! ‘Spicery’ is one such newly opened joint in Kolkata which is trying just to do this with Indian street food. Speciality Restaurants Limited has made things spicier with this newest addition – Spicery! This new venture comes from this chain of amazing restaurants like Mainland China, Oh! Calcutta, etc and now they have got an inimitable twist to the modern Indian Street Food culture paired with an elaborate Bar menu, at Spicery! This new 98-seater restaurant is conveniently located on the fourth floor of Acropolis Mall (Kolkata) and actually, it is said to be Anjan Chatterjee’s (Speciality Restaurants group founder and MD) passion project! The first thing that you will notice about this place once you step in, is the bright interiors. It’s indeed very colorful, casual and vibrant, reflects the true spirit of India and its much famed street food culture! The interior décor has got loads of light (lining the ceiling), colorful walls with posters, quirky artworks, street food pictures with a touch of nice wooden furniture and the brick walls! This den of modern Indian soul food serves good food along with good mood and truly brightens up your day! You get signature street food dishes from various corners of the country all under one roof, like Samosa chaat, Aloo tikki chaat, Fried idli, Phuchka, Dhokla, Irani Cutlet, Pav bhaaji, Parsi Fried Chicken, Dacres Lane chicken stew with bread toast, and so on. And not only finger food, you get heavy meals, sinful desserts (like Malpua, Delhi ki Barfi, Mishti Doi, etc) and everything can be paired with a huge range of cocktails, mocktails, etc from that well stocked bar. If you so not consume alcohol, then you can try out some nice mocktails like – Watermelon cooler, Green Nile (contains Kiwi, coriander and Tobasco), Hazy Pineapple (pineapple juice topped with cranberry juice and hazelnut syrup) or Sweet Nariyel (coconut) Martini. So, I tasted several dishes here but let’s quickly run through those dishes which I really liked. On your next visit you can surely go for these and hopefully you will like them as well. Let’s start with Tunde ka kebab. This Lucknowi traditional minced lamb dish has a mouth melting smooth texture and perfect smoky flavor! The Parsi Fried Chicken is an absolute delight to savour, the juicy chicken wings are well marinated in cumin, coriander and chilies and then egg washed and deep fried! If you are a Mumbai street food fan then try out the Cheesy Pao Bhaaji, it’s that flavorful and spicy cheesy vegetable mash served with griddle toasted bread. Also I tried one of the chaats, you can go for Samosa Chaat. The samosa has got nice potato and spicy green pea mash filled in it, it’s then done up with yogurt and saunth chutney. Also you can try the Kolkata style crumb fried Fish Fry. Moving on the main course, I really liked three dishes – Chingri Malai Curry (prawns cooked in traditional Bengali style coconut gravy) that comes with steamed rice, Machh-er Jhal (tangy fish curry with Bengali spices) which is again served with steamed rice, and some Delhi special Kake da Mutton (spicy lamb curry cooked with onions and green chilies) which is served with Rotis. And yes, you can try the Kulfi or Mishti Doi for desserts. So this classy street food extravaganza is sure to entice you, it’s a place where your favorite street food items are being served along with your favorite spirits in a swanky restaurant! It’s an experience you surely won’t like to miss. And the service at this place was warm, courteous, and pretty prompt as well. I have also heard that more branches of Spicery will open up (in the near future) in Kolkata and across the country, so cheers to modern Indian soul food, and cheers to Spicery! [Updated on 9/30] – After this first visit of mine, I came back to this place couple more times in the next one month, and the third visit was rather a memorable one. 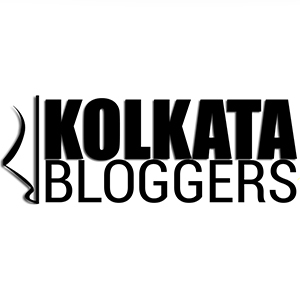 It was the Kolkata Food Fanatics (KFF) meet where we had an amazing laid-back lunch paired with cocktails and some lovely adda. Some of the dishes described above were again tried, which is always a delight! Especially that Parsi Fried Chicken, Cheesy Pav Bhaji, Tunde Kebab and Kake Da Mutton, loved having them again! But this time I tried something fantastic, it was a veg dish called Palak Patta Chaat, and it’s an absolute must-have. And yes, this time I absolutely loved the delicious Keema Kaleji with that soft pav. All these were rightly paired with the cocktails, Sweet coconut martini and Calcutta Mojito! And how can I miss the super amazing Honey and Almond Malai Kulfi that wrapped up the meal so perfectly! You should definitely try this kulfi if you are here at Spicery! Disclaimer: Foodiedada was invited to Spicery (Acropolis Mall) by the management on the first occasion! Previous Post My recipe for ‘Maggi Momo’ and the special Maggi menu at Bon Appetit cafe! Next Post Office Canteen Stories 2018 — Sector-V business hub, and more!